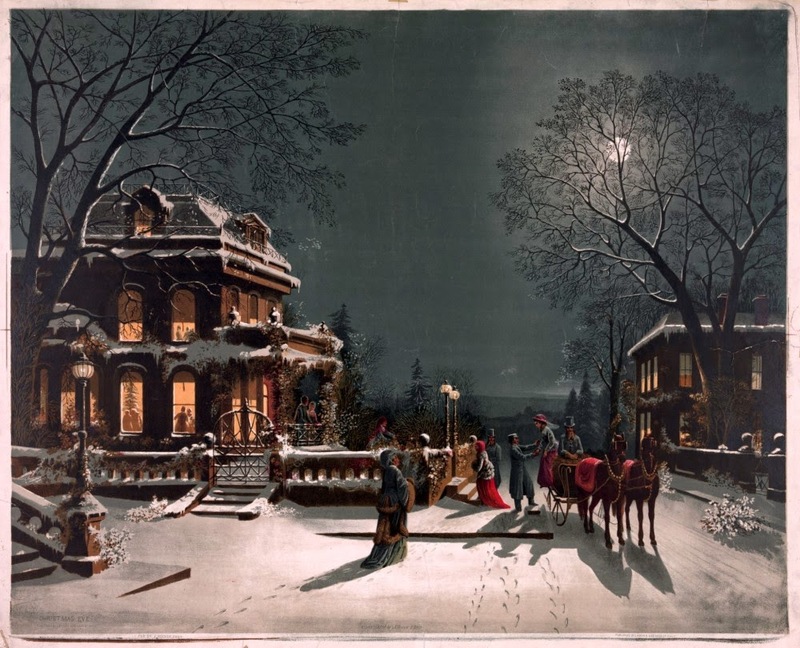 Best wishes to all of you this holiday season! Joe Cocker died today at the age of 70. The world won't be the same without this iconic rock/soul voice. Rest in Peace, Joe. Variants of this question get tossed around a lot these days, probably more than ever before. This is understandable since the publishing landscape has changed so dramatically. The dream of writing a novel and getting it into the hands of readers has never been within such easy reach. And of course, we all know that each one of us has a story dying to get out. But what if it's more than just a passing fancy? What if you write that book -maybe even several- and don't know what you should do with it? When browsing forums dedicated to writing and publishing, I often see announcements proclaiming something along the lines of: "My book is done and now I'm trying to decide whether to traditionally publish or self-publish." The conversation will go on from there, with many helpful voices chiming in about the pros and cons of each choice, and hardly anyone pointing out that 99% of writers do not and never did havea choice. Sure, you can choose to submit endlessly to agents and publishers who either send you form rejections or ignore you entirely, but the truth has always been that only a fraction of a percent of hopeful writers can get published traditionally. This isn't because agents and editors are mean and elitist (Well, in some cases maybe, but that goes for just about any profession, especially one with a little bit of clout in certain social circles). What it really comes down to is numbers. Even the largest publishers have a limited number of slots to fill each year. A certain percentage of these publishing slots are allocated to writers already under contract, and another percentage goes to big names who may not be writers but whose fame and/or notoriety essentially guarantee sales. Hollywood celebrities, politicians, musicians, and athletes fill these slots quite readily. According to the Bowker article linked above, traditional publishers put out about 300,000 titles per year. By comparison, Indie authors, small presses, and other non-traditional publishers account for almost 3 million! And these numbers are from 2009-2010! When you get down to nuts and bolts, traditional publishing really is in trouble, and it has nothing to do with how good they are at choosing books. It has to do with disruption. Traditional publishing works on a model that hasn't evolved well with new technology. They're starting to catch on, but they're not just up against the surge in popularity of e-books, now they're being pitted against the authors themselves. Until the last few years, authors had little or no say in how they were published. If they were lucky enough to be chosen (keep in mind the odds against this happening at all) then the author happily took whatever percentage he or she was offered, and most of this came in the form of a small royalty advance. Publishers were negotiating from a position of power and authors... well, they weren't really negotiating at all. The industry came up with relatively uniform numbers on these royalties. The publisher generally took 70% or more (often as much as 85%), and the author took whatever was left. But then Amazon came along, and Jeff Bezos wasn't satisfied with merely disrupting the industry with his new Kindle technology. He took it a step further. He gave authors 70%. He gave them the ability to choose any cover they wanted, whereas legacy publishers had usually told the author what cover they got, and that was the end of the discussion. He gave writers the power to manage their own careers, and to run those careers like businesses. Wait a minute, does that sound familiar? When James Patterson was first published (after being rejected quite a few times) he knew he could sell more books if they were marketed better. He knew he could publish more than one book every two years, and people would still continue to read. He believed that writing cross-genre titles could be a good thing. Naturally, the publishers ignored him. They told him it doesn't work that way. So Patterson spent his own money promoting his books on television and radio. He not only advertised in ways he wasn't supposed to, he also wrote for markets he wasn't supposed to. And how did that work out? According to Wikipedia, Patterson has sold more than 300 million books. According to Forbes, his books account for 1 of every 17 hardcover books sold in the U.S.
You see where I'm going with this. Patterson's an entrepreneur. He's a smart guy. Smart enough to analyze the market and write to it, instead of waiting for it to find him. Smart enough to write good books and even revolutionize not just the format for thrillers, but how they are marketed and sold. If he'd listened to his publisher decades ago, you might not even know his name. That's not because publishers and editors are stupid, it's because they have to manage their own businesses. It is not their job to manage the careers of a hundred (or a thousand) different authors. Patterson saw that, and he took his career into his own hands. Now, even though he's still traditionally published, he's the most successful writer in the world, not because of what his publisher did, but in spite of it. At this point, you probably think I'm telling you to go Indie. Write it and they will come. But the choice really isn't that simple. For some people, managing their own career is just too much work. They don't want to hire editors and artists, to plan book releases and giveaways. They just want to write, and they don't care if they ever make any money at it. That's fine. If you're a writer, published or not, you already have the soul of an artist. You have a drive to create something, and you may or may not care whether or not anyone ever sees it. If it's validation you want, you have to look where its meaningful to you. If you want to make a career of it -if you want to pay the bills, pay the mortgage, and maybe even buy that house with a swimming pool someday- you have to look at this as a business. Crunch the numbers. Look at other writers and analyze what has worked for them. One last point: If you work hard and maybe get a little bit lucky, you can have the best of both worlds. A few years ago, agents all across America were telling writers, "If you ever self-publish, you will destroy your career. No respected publisher will ever talk to you again." Now, they're trolling the Amazon bestseller lists looking for writers to sign. So don't let those old publishing myths stand in the way of following your heart, and of course, your gut. In the end, nobody else can tell you which career choice is going to be the best for you, but you probably have an idea already. A Fool There Was is now live! A Fool There Was is now live, and I'd like to thank everyone who pre-ordered this title. This was the first time I've been able to do this, and it was very exciting and validating to see the orders coming in. I sincerely hope the book lives up to all your expectiations! Goblin P.I. Sam Snyvvle may be crude, cynical, and vulgar, but one thing he’s not is stupid. 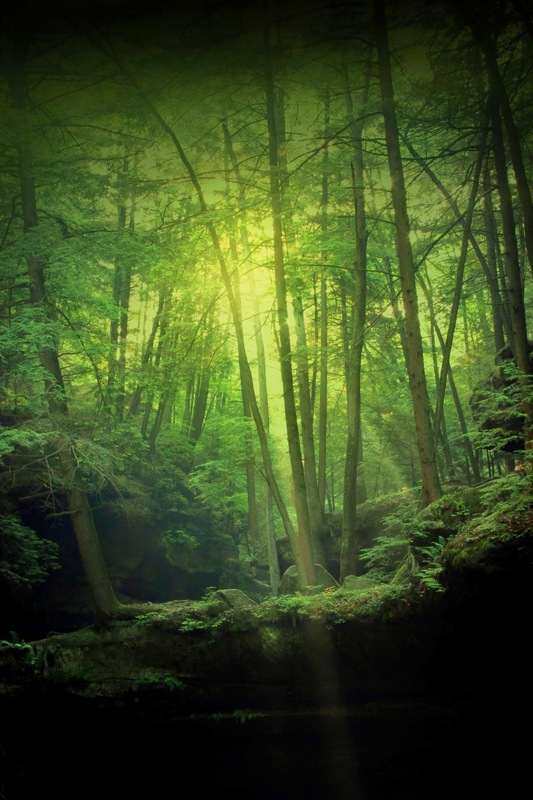 When a gorgeous dryad offers Sam a king’s ransom to retrieve her stolen diamond, he knows the whole thing smells like a setup. Unfortunately, there are two things in the world that Sam can never pass up: a gorgeous dame and a truckload of money. Besides, if things don’t work out with the girl, Sam knows he can always pilfer the diamond for himself. Snyvvle sets out to find the missing gem, but immediately ends up in hot water. He’s trapped in a room with an empty safe and a dead mob boss, and the police are banging down the door. Sam knows he looks guilty as sin, so like any sensible goblin, he goes on the run. Now, Sam is in a race against time to locate the missing diamond and catch the crooks who set him up. 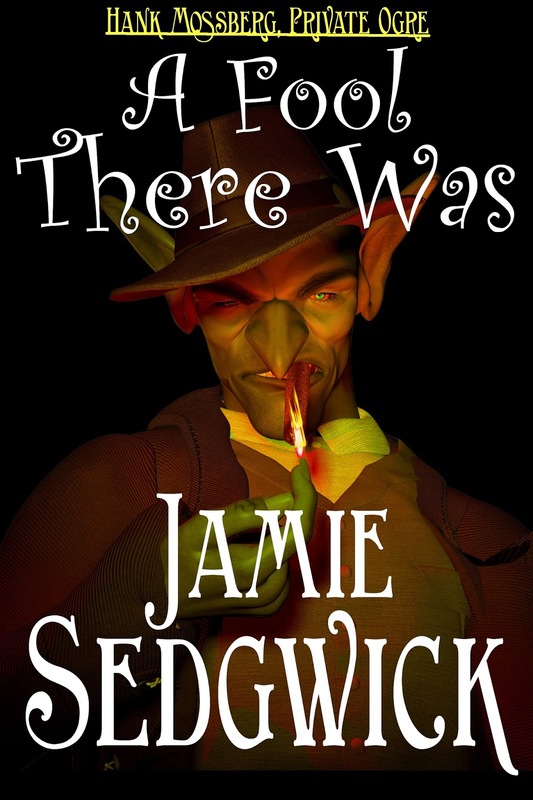 Fortunately, Sam knows the dark, seedy streets of the undercity like the back of his hand. He swears that when he finds the people who framed him, they’re going to regret it. That is, if the cops, the mob, and his arch-nemesis Hank Mossberg don’t catch him first! Warning! : Goblins are dangerous, sly creatures who often behave badly. They swear with great proficiency, they enjoy making crude sexual references, and constantly make bad jokes. If this sort of thing offends you, DO NOT hang out with goblins. Also, don’t read books about them. Like this one. I think Sam Snyvvle is going to be a very exciting addition to the series. But that’s not the only announcement I have today. I have been discussing giveaways and promotion ideas with my wife, and we’ve come up with a great way to thank all of my regular readers. First, there will be no more ARCs. I’ve decided, after spending a lot of time and money sending out ARCs over the last two years, that most readers simply don’t get it. I’m not talking about my regular readers of course; I’m talking about the thousands of anonymous people out there who join these contests, win a book from an author they’ve never heard of, and then write a review saying something like: It was a great book, but I found lots of typos… Yeah, that’s kind of the point. ARCs are unedited, and it says so in the description, in the giveaway, and inside the book cover! Ah, well. So no more ARCs, but I will be doing a Goodreads paperback giveaway, which I will link in my blog. I will also be doing something special for those of you who follow my newsletter and blog. Normally, I launch new titles anywhere from $2,99 to $4.99, and gradually lower the price as I add more books to the series. This time, for a limited time only, I will be selling Hank Mossberg Book 4 at only $0.99. You can PRE-ORDER! This means that if you preorder, you will get the sale price. Soon after it goes live, the price will go up. If you have friends who might be interested in the series, this will be a good opportunity for them to take the leap. Right now, Book #1 is running perma-free on Amazon, B&N, iTunes, Kobo, etc. Book two is available for free with a newsletter sign up (don’t worry, you can always sign up under a different email address if you need to) and book three is only $2.99. That’s the entire series for less than $4! I also have a few other ideas about doing random drawings for paperbacks and e-books, and possibly giving away another Kindle, but my wife and I are undecided on the best way to go about this. Fear not, when we figure out it, you’ll be the first to know. In the meanwhile, although I don’t have publication dates ready yet, I do have more books coming this winter. 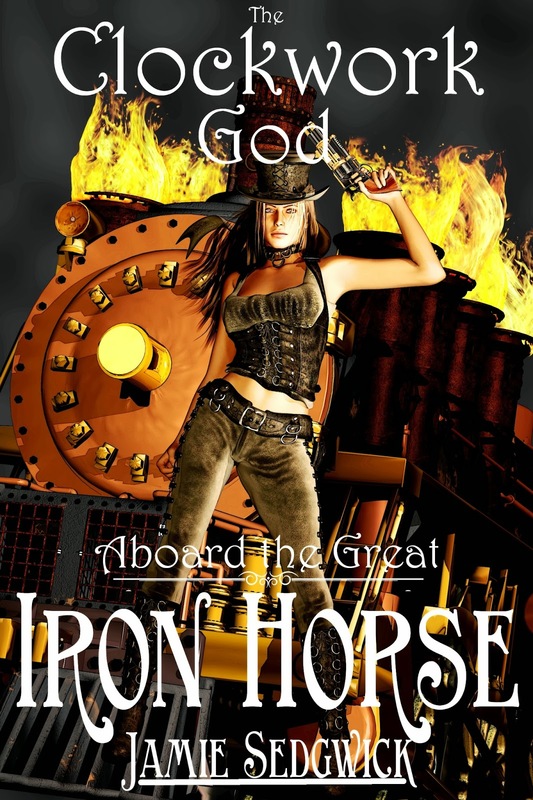 In addition to A Fool There Was, I will also release Book Two of my Iron Horse series, and I will be publishing two mystery/thriller titles. I doubt all of these books will all be ready before the end of the year, but I do intend to publish all four sometime this winter, so stay tuned! As always, thank you for your support, your reviews, and for sharing word of my books with your friends! Well, it's almost officially autumn again. I love this time of year. Autumn means long nights, foggy mornings, and cooler weather. 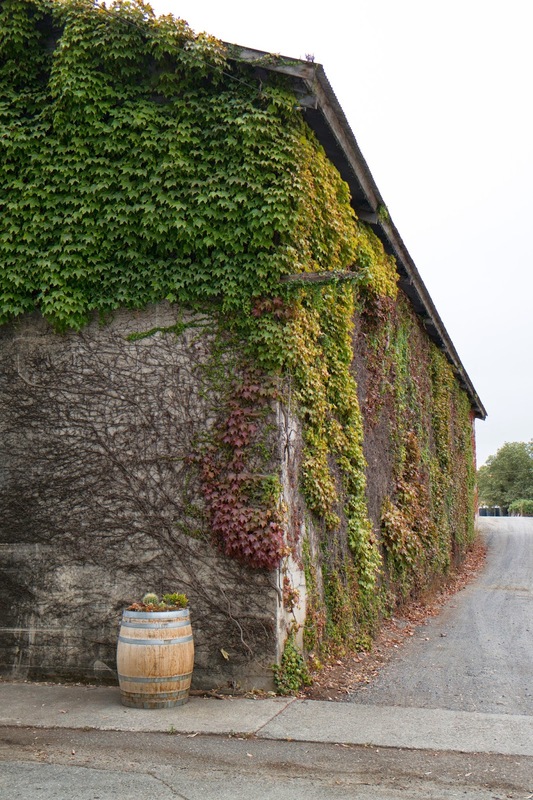 It's kids returning to school, sweaters pulled out of the closet, colors changing, the smell of fermenting wine drifting through the valleys of northern California. Summer is always just a little too hot for me, even when it's not terrible, and the shorter days and cool breezes of fall are perfect. Not to mention the colors. I love taking long drives this time of year, soaking in the incredible blazing colors of deciduous trees and grapevines. So far this year I've written two and a half novels. The third should be done in a week or so (at least the first draft anyway). I've already started on the fourth, but I'll have to go back and pick up where I left off after I'm done with number three. On the downside, none of these books are ready to publish. I've given the first two rough edits, and I've had some feedback. The first two will get minor rewrites. The third and fourth will have some sitting time before I return to them. In other words, I don't have publication dates yet, but I'll post them as soon as I have a better idea. For now, I intend to publish at least two new books by Christmas. So what's coming out? Well, Hank Mossberg #4 is on the way, and so is Iron Horse #2. I also hope to launch two brand new series this winter, but they are mystery/thriller novels and will be published under Jeramy Gates. If everything else falls into place, I will publish at least two fantasy novels and two mysteries per year, for the next few years. This will allow me to keep up with the stories my fans seem to enjoy most, and start building my mystery genre platform. Depending on my personal situation and my energy levels, I may publish more. I have ideas for a novels, both stand-alones and series books, but I must use my time wisely. I have three children and I still work part-time doing property inspections for the company that used to be my full-time career. (This doesn't represent much income, but it provides nice opportunities to get out of the house and enjoy long drives through the wine country. Naturally, I also use this time to brainstorm books I've been working on, and since I'm getting paid to do so, I have been reluctant to let this part-time job go.) I also have to be careful to avoid burnout. If I push myself in any one direction too hard, I'm much more likely to abandon a project, so I have to pace myself. This is different for everyone, of course. I have found that four novels per year is fairly comfortable for me, and I don't have to worry too much about feeling exhausted by my writing. So, that's the plan. This time around, I may even get to make my books available for pre-order! Here's one thing you can count on: As the shadows lengthen and the landscape explodes in a fiery display of crimson and gold, I will be diligently working to bring new stories to my readers, and doing my best to make them even better than the stories that have come before. Here's to a great year! Death in the Hallows FREE! At the top of this page is a tab called "Free Book!" This link will take you to a sign-up page for my newsletter. After submitting your email address, you will receive a confirmation in your inbox (if it doesn't show up within a few minutes, check your spam folder). Click on the link to confirm your email address is real. Right after you do that, you'll get a second email with the download link for "Death in the Hallows." You can un-subscribe from my newsletter at any time. No pressure. However, there are benefits to being a subscriber. Often, my newsletter subscribers are the first to know about my upcoming titles and newest releases. Also, when I run contests, subscribers often have an improved chance of winning free stuff like books, kindles, and other promotional items. I don't send out a lot of newsletters, so don't worry about me filling up your inbox with my Indie-spam. I generally do 2-4 mailings per year, just enough to make sure readers who don't follow my blog every day can still remain informed. Speaking of which, I will have news about this fall's upcoming titles soon! Free Books and New, Lower Prices! Over the last few weeks, I've pulled my books from Kindle Select and Kindle Unlimited. I've expanded distribution on all of my novels to B&N, Apple, etc. (links to the right). In the process, I've also lowered prices on pretty much everything and made the series starters free. At the moment, you can buy get all three Tinkerer or Shadow Born titles for less than four bucks! Same with Hank Mossberg, Private Ogre (although there is definitely more to come in that series!). I've already discussed my reasons behind leaving Select and seeking out greater distribution. The good news is that this strategy seems to be working very well. On average, since my titles began showing up for free, they've been downloaded about 150 times per day -some days closer to 400- with no advertising or any sort of promotion whatsoever, other than a comment or two on this blog. Over the last two weeks, my sales have gone up by about fifty percent, and better yet, more readers are not only picking up my series books, but going on to buy the rest of the series, which is one thing I really wanted out of this. I believe my books are good, definitely worth reading. If I didn't, I wouldn't be putting them out there. But I think in some cases that readers won't fully appreciate what I've done with some of these stories until they get to the end of the series. 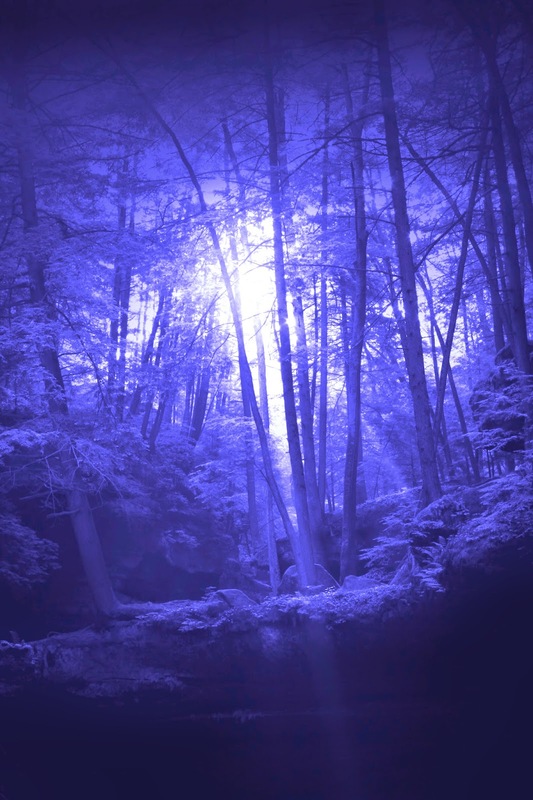 I love to surprise readers, to give them a twist or an ending that's completely unexpected. If I price my books out of their budget, they don't even get the best parts. Also, although I have seriously reduced prices (did I mention free?) my income for that time period has held steady, if not even climbed a little.That's a good sign that this permafree thing might have some sticking power. It's too early to guess how this is going to turn out, but after examining some of the most successful Indie writers over the last year, I've found that many of them offer the first book in a series for free. They also tend to price the rest of their titles very low, and to distribute their books as widely as possible. So I'm not exactly breaking new ground here, I'm just trying a sales tactic that in that past has proven very successful. If nothing else, this should prove to be a valuable experiment for me. Plus, anything that makes my books more accessible to readers seems like a good idea. I know, this subject tires me too. For months now, we've been hearing stories about how evil Amazon is because they took away the pre-order buttons from upcoming Hachette titles and allegedly slowed shipment on some paperbacks. The truth, according to Amazon, is that shipments got slower on Hachette titles because Amazon quit stocking so many, which is understandable because they're in the midst of a very long and unpredictable contract negotiation with Hachette, which could end with Amazon no longer carrying Hachette's titles. Due to this situation, Amazon also pulled the pre-order buttons for unreleased Hachette titles because Amazon has no way of knowing that they'll even stock those titles in the future. Is this a strong-arm negotiating tactic or a reasonable response to a situation they can't possibly control? Either way, any business has the right to get tough when they negotiate. The important thing is that each negotiator follows the law, and plays his or her cards close to the vest. Too many details floating around can cause all sorts of hard feelings and fuel rumors that can damage the future of those negotiations. I guess Hachette didn't get the memo. First, they got busted colluding to fix prices on e-books. Now, Hachette has been leaking details of their negotiations, like those I mentioned above, to the press. And yet they never release all of the details. Just enough to make themselves look like victims and to make Amazon look like the neighborhood bully. However, when Amazon offered to help Hachette pay their authors for loss of income during these negotiations, Hachette rejected them. Instead they took their complaints public, leaking cherry-picked information to the press. "We recognize that writers reasonably want to be left out of a dispute between large companies. Some have suggested that we “just talk.” We tried that. Hachette spent three months stonewalling and only grudgingly began to even acknowledge our concerns when we took action to reduce sales of their titles in our store. Since then Amazon has made three separate offers to Hachette to take authors out of the middle. We first suggested that we (Amazon and Hachette) jointly make author royalties whole during the term of the dispute. Then we suggested that authors receive 100% of all sales of their titles until this dispute is resolved. Then we suggested that we would return to normal business operations if Amazon and Hachette’s normal share of revenue went to a literacy charity. But Hachette, and their parent company Lagardere, have quickly and repeatedly dismissed these offers even though e-books represent 1% of their revenues and they could easily agree to do so. They believe they get leverage from keeping their authors in the middle." In the meanwhile, a few millionaire (and billionaire) authors like James Patterson, John Grisham, and Stephen King have taken it upon themselves to spend hundreds of thousands of dollars taking out ads in the New York Times under the banner of Authors United. Did they do this to fight for better contract terms? Did they do it to increase shriveling royalty rates, unreasonable loss of authors' copyrights, or to protect midlist authors whose careers have been sidelined to make way for literary greats like Snookie and Kardashian? ...Firstly, several big name authors could negotiate contracts to help foster a different royalty culture throughout the industry. They should demand a higher royalty and/or get paid on gross rather than net revenues. If big names are keen to fight for mid-list authors, as they seem to be, then this would help them as much as any advert in the New York Times. The cartel-like fix of setting a low royalty must be opened up more to competition. In the spirit of fairness that Authors United are keen to tap into a 25% net royalty just isn't good enough - especially when Amazon of all people will pay out 70% of cover price should writers publish direct with them. Ironically Amazon has been pro author in light of the royalty split between publisher and writer and is keen for the latter to earn more." Yeah. Amazon pays much better, with almost no contractual obligations, and lets authors keep the rights to their books. Are we really supposed to believe Hachette is the victim here? Based on the facts, which are few because for some reason Hachette won't release the full details of their impasse, I can only assume Hachette really is the bad guy; that they do want to keep the price of e-books high, and the royalty payments to authors low. Unfortunately, the ones who are suffering here are the authors. Their sales have already taken a hit. Anyone care to guess what will happen when Amazon takes the next (obvious) step of removing all Hachette titles? My heart goes out to those writers. Even the ones who still believe their publisher is somehow trying to protect them with its overreaching rights grabs that last forever, disappearing advances (along with the expectation that midlist authors pay for all their own promotion and marketing), and ridiculous royalty rates on e-books, which have turned out to be extremely lucrative for big publishers. Frankly, those authors are the only reason I care about this at all. The truth is, if Hachette wants to jack up their e-book prices to $15, they're just making my life easier. A lot of readers will see that price and then pick up a book (or five) by a low-priced Indie author like me. But I do hate what will happen to so many of those writers. At the moment, it looks like this thing is just going to get more ugly over the next few weeks. If ever there was an obvious warning to stay away from legacy publishers, this is it. For those of you who have contacted me wanting to know when my books would be available in other stores besides Amazon: The time is now! You will find links to the right, and on the page tabs above dedicated to each genre. My books are now live at iTunes, Amazon, Barnes & Noble, Kobo, and Scribd! Several of my short stories are still exclusive with Amazon, and a few of my titles haven't yet reached full publication at the other stores, but I expect them to be everywhere within the next few days. I've updated the links and even made a few changes to the blog. Feel free to peruse the newly added pages at the top! It feels a little strange, branching out like this while so many authors are pulling their books to go exclusive with Amazon's new Kindle Unlimited program. I can only hope I'm making the right decision. Fortunately, as an Indie author I have the ability to turn on a dime. If I decide I'm losing too many sales, I can opt back in with Amazon in a heartbeat. Not that I plan to, because I've invested a lot of time and hard work into making this happen. This is a very early stage of my experiment, but so far I'm cautiously optimistic. I've already made a handful of sales at these other outlets, and I've even had a surge in paperback sales, which took me completely by surprise. I hope to run some promotions later this year, which should (hopefully) improve my visibility at these new outlets, and maybe grab a few readers completely new to my fiction. As always, stay tuned for the latest updates! Kindle Unlimited: A Brave New World or The End Of The World As We Know It? There are a few catches with Kindle Unlimited. One is that authors don't get paid a normal fee. They get paid an equal percentage from a monthly slush fund that's been set up by Amazon. Usually, the payments amount to about $2 per borrow, but it varies a lot, and this could prove to be a very unstable arrangement with the number of readers Kindle Unlimited is bound to attract. Also, writers are required to be enrolled in Kindle Select because the two programs have essentially been rolled together. -For those who don't know, Select is the program that lets authors give a book away for free for 5 days out of every 90 day enrollment period. This is a nice promotional opportunity, but the program requires exclusivity. Authors are not allowed to sell these titles anywhere else... Unless you're a traditionally published author or publishing house. If you're one of "those guys," you don't have to be exclusive. And you also get paid your standard royalty rate. At least, that's the way it works now that we have Unlimited. So, to recap, Indie authors must be exclusive to Amazon, and can only get paid their share of a slush fund. Legacy publishers are apparently more equal , and they not only get paid the full amount, they also can sell their books anywhere they want. Which begs the question of what will be left in that slush fund once Harry Potter and Hunger Games have taken their toll? Once again, Amazon has handed us a unique opportunity, but Amazon giveth with one hand and taketh with the other. I have a few other concerns. For instance, I know someone who once very proudly explained the fact that she and five friends all share an Amazon account so they can get each other's books for free. Amazon knows about this practice and, as far as I can tell, has done nothing to quell it. I can only wonder how many of my sales were not a sale to one person, but five or six? I don't mind people sharing my books with friends, but there's something sleazy about people intentionally gaming the system so they can steal books. Likewise, Amazon did very little to stop the fake sock-puppet reviews that were happening a couple years ago. Some writers set up fake accounts at Amazon (and other places) to post false 5 star reviews of their own books, and to slam other writers whom they considered competition. Until the situation gained major media attention, Amazon just ignored it. Then they removed hundreds of reviews, even some legitimate ones, just to shut up the criticism. But even now, if I email Amazon about a bad review that describes things that don't even happen in one of my books, they simply recommend that I vote the review down as "unhelpful." Umm, the reviewer is lying about my book, misrepresenting it purposefully, and you won't even take a look? Talk about unhelpful. Many writers have "exchanged" reviews of books, a process that's supposedly against the T.O.S. but continues to this day. And now, with the introduction of Kindle Unlimited, I've witnessed authors talking about downloading their friend's books and skimming through the required 10% to make sure they get paid even though the books aren't read. Well intended no doubt, but still gaming the system, and something Amazon will eventually have to deal with. Last but not least, some Amazon customers buy books on Kindle but then convert and side-load to a different device. How will Amazon know if that book has been read, and whether the author should get paid? Answer: They won't. For some authors, these inconsistencies could lead to thousands of dollars worth of underpayment or overpayment, depending on the circumstances. Does that make it a wash? Maybe, if it happened equally across the board, but that's not how real life works. Some authors are going to lose a lot of money this way, and no one will ever know it happened. I've been in Select for a couple of years, and the reason I did it was because I made more money in borrows from Select than I was making in sales from other e-book retailers (Apple, Sony, etc.). I used Smashwords for distribution back then, and I often found their service frustrating. Getting books properly formatted for different devices was next to impossible, and getting an answer from the service department took days, if not a week or two. Select was an obvious choice. All I had to do was pull my books from the other stores and go exclusive with Amazon. In return, I got to give my books away for free now and then, and also reaped the benefits of getting lots of borrows. But times have changed. As sales dwindled earlier this year, borrows did, too. And I realized that it might be time to try some of those other booksellers again. After all, things have changed a lot in the last two years, and I just might be missing a real opportunity. So I made up my mind to pull all of my titles from Select and start re-publishing in mass distribution. Many writers have found success by making the first title in a series free, or "perma-free" as we Indies call it. I have several series going, so I decided to try that. I opened an account with a new distributor (not Smashwords - more on that in another post) and began the process of converting my books, and of course waiting for my Kindle Select periods to expire. But just as my books began falling out of Select, Amazon changed the game. Again. So I took a long look at Kindle Unlimited, the benefits it presented, and how that might affect my plan. I tried to look at it critically, from a businessman's perspective, rather than an author's or a reader's. Here's the way I see it: Kindle Select/ Unlimited still presents a great opportunity for exposure and promotion. For the right person, this might be a great way to make sales and build a stronger platform. Alternatively, the program has some problems, and some authors might lose a lot if they aren't careful. I had been all-in with Select, and that was not healthy. There are better, albeit more hands-on approaches. Thankfully, to Amazon's credit, since they enrolled all Select books into Unlimited without giving us a choice, they allowed publishers to pull our books from Select without waiting for our 90 day commitment periods to expire. I did just that. However, I left most of my short stories enrolled and I have the ability to re-enroll my novels at any time. By taking this approach, I have given myself the maximum latitude possible. In the meanwhile, my books are slowly but surely becoming available in iTunes, Kobo, Scribd, and other places. Over the next few days, my books will finally be available just about everywhere (a relative term for e-books, I know...). I will monitor sales, both at Amazon and in the rest of the big wide publishing world, and observe the changes over the next few months. If it seems prudent, I may put a title or series back into Select just to see what happens. But at this point, I would be very reluctant to put my entire catalog back into Amazon's basket. Instead, I'll take the hands-on approach of moving things around and seeing what works best for each book and/or series. On the bright side, my ability to do this is a huge advantage over traditional publishers. On the down side, this is very exhausting work, and will distract from other things, like writing. But hopefully at this point in my career, I don't have to publish 4-5 titles a year to stay competitive. If you're still reading, thanks for your patience with this long-winded post. Keep an eye out, because I will post links as new distributions become available, and I will update with my experiences and conclusions. Also, Shadow Rising is free this week. It's the only novel I still have in Select, and it won't be there for long. Grab a copy, spread the word! Shadow Born Promo This Week! I'm running a promotion on Shadow Born this week. 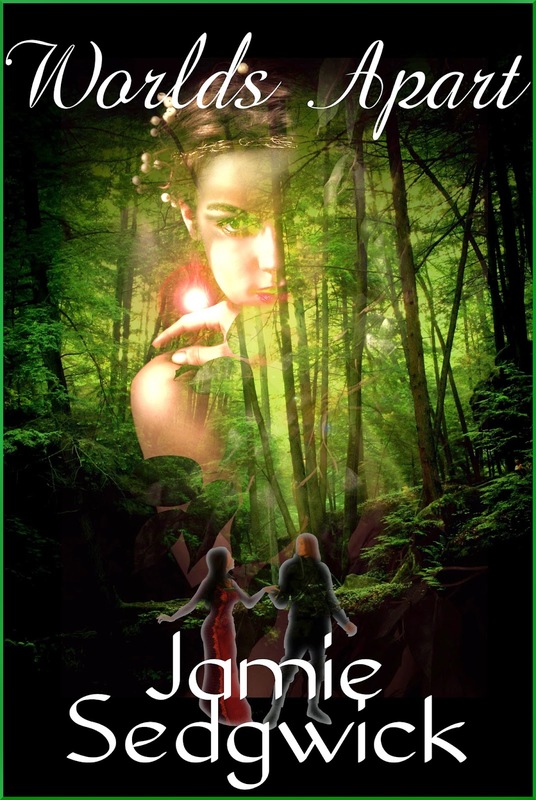 Click the banner above to enter a Goodreads contest (paperback), or download it free directly from Amazon! If you already have it, by all means share the link with a friend. 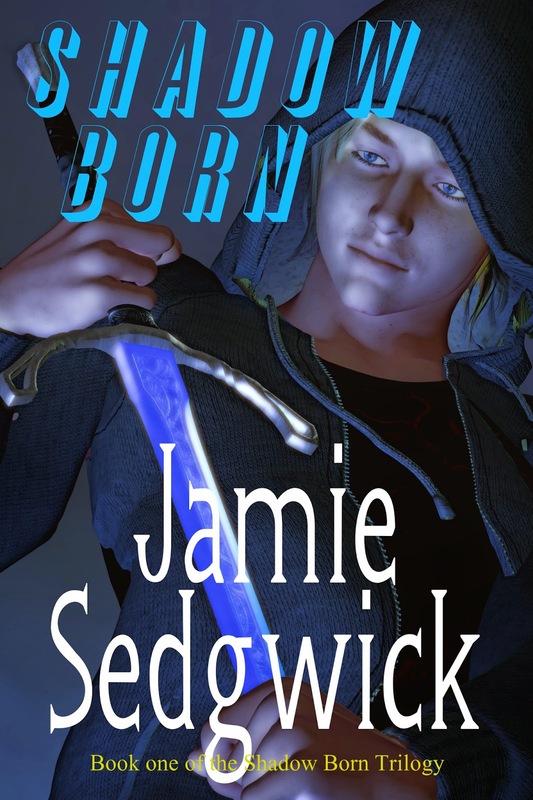 For those unfamiliar with Shadow Born, it's the story of a young teen (Gabriel Frost) who was trained to be an assassin. Unfortunately, Gabriel has lost his memory and can't recall who or what he is. While searching for clues to his past, Gabriel becomes embroiled in a sinister plot by creatures called Shadowlords who want to take over the world. At the same time, Gabriel is caught up in numerous government cover-ups and recruited by a top-secret organization known as D.A.S., whose sole purpose is to defeat the Shadowlords. In my previous posts in this series, I discussed branding and basic cover construction. I've addressed topics of software, fonts, and sources for stock photos. I've illustrated ways to take a basic image and make it something unique and eye-catching, and how to supplement that art with fonts and colors that will appeal to your market. But there's one thing I haven't talked about, and that is what happens when you can't find the stock photos and art you want. It's bound to happen eventually. Maybe you can't find an artist whose work fits your needs (or credit limit! ), or perhaps you just can't find a model who looks like your character. There just isn't a stock photo in the whole world that gives you what you need. You know exactly what you want, but for some reason you just can't get it. Well, don't be dismayed. Here's how you can do it: The answer to your problem just might be 3d modeling. 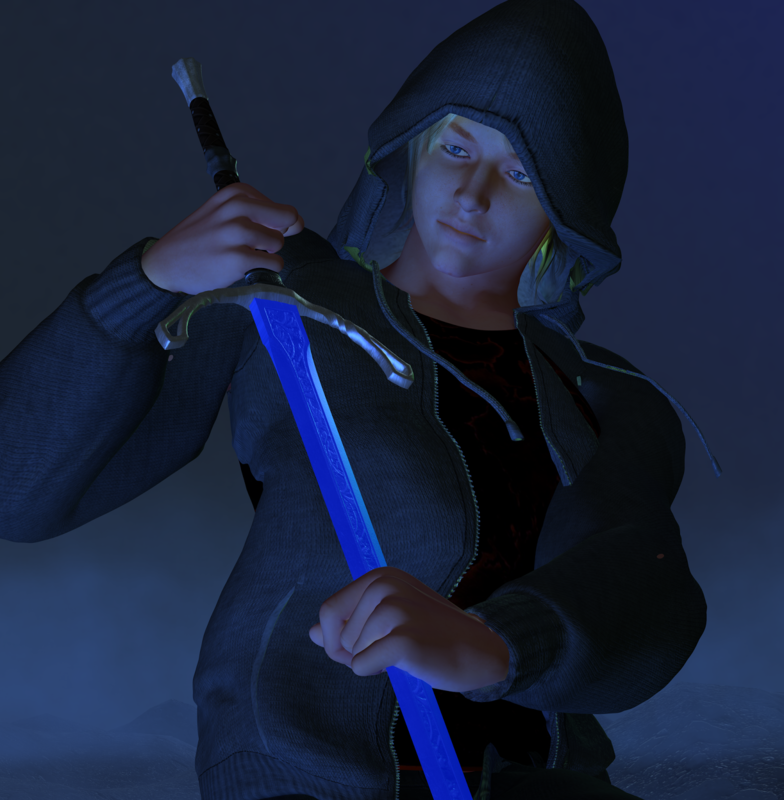 I'm going to point you in the direction I started, and that is with DAZ3D. This company is amazing. They are the Kindle of 3d models, thousands available within just a click. They even provide a very powerful modeling program absolutely free. It's called DAZ Studio, and you can download and use it free of charge. DAZ Studio is a powerful modeling program that allows you to use figures, such as humans, animals, and 3d objects to construct scenes. Several models are included with the program. The site also provides extra freebies that rotate monthly, and thousands of low-priced models that will astound you. Download it. Play with it. View their tutorials and learn how it works. 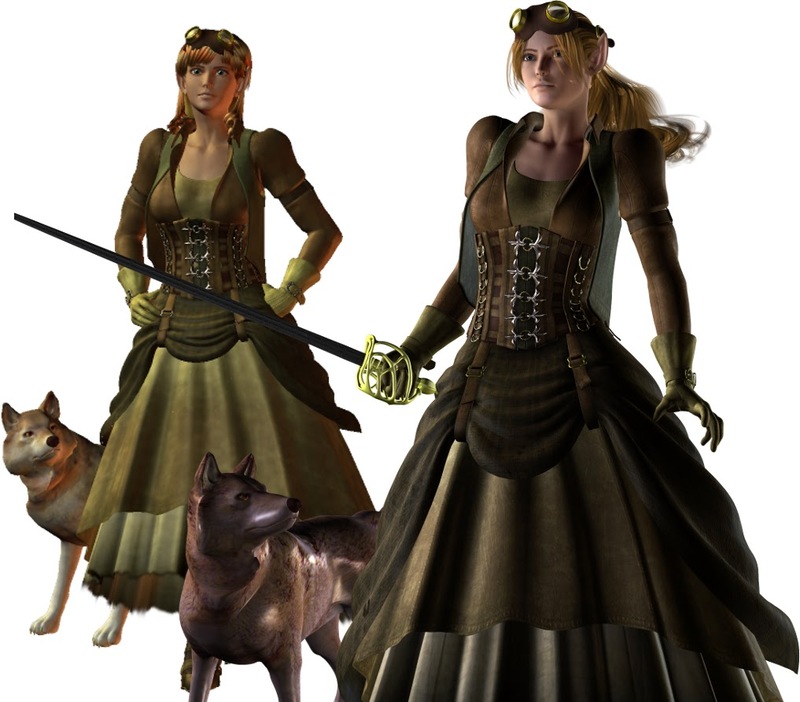 An early version of Breeze (left) from T1, and a later version (right). Not the differences in lighting, posture, and props. Small things make a big difference in the final product! Without going into too much detail, this is what you can expect: DAZ and other modeling programs allow you to load 3d models into a graphical environment. It's something like the 3d environment of a video game. You can change your perspective, circling around the object, pulling in close or pushing out to a great distance. You can load multiple objects, for example a man, a woman, a car, and mountains for a backdrop. You can pose the characters simply by clicking on one of their limbs and moving it around like a doll. You will also learn that there are pre-configured poses for characters, and a variety of different ways to manipulate objects.You can also modify the features of a character. For example, you can make a man thin and wiry, athletic, muscular, or even overweight. You can change features of his appearance that make him look like a teen or an old man. Same thing goes for females and to an extent, even to animals and other props. Once you're happy with the characters, you can dress them in different clothes, change colors and textures, alter their skin and hair appearance, and manipulate the lighting to dramatic effect. Essentially, you can create your own characters, dress and pose them as you please, and then take a picture! A scene I created for the cover of Shadow Born. 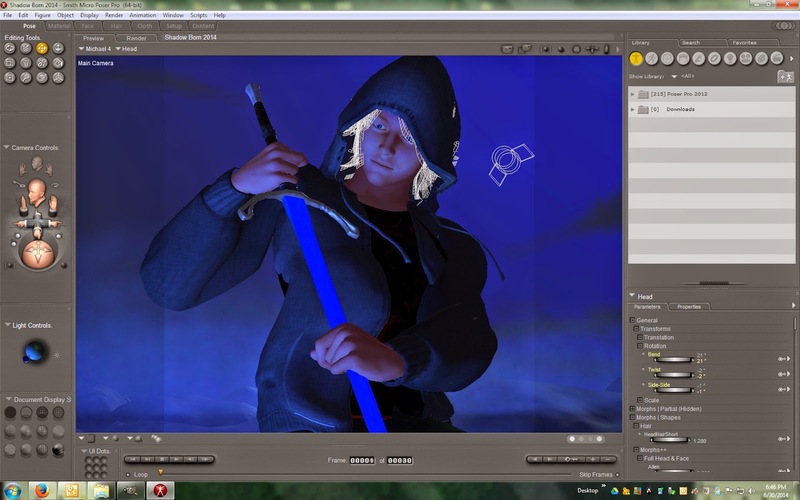 This is what it looks like loaded into Poser, a 3d program very similar to Daz. I used a basic free character (Michael 4) with some modifications, clothing and props, etc. The final process, the picture-taking, is called rendering. This is where the software takes over, calculating the light, colors, and so on, to create an image based upon the scene you've created. Depending on the complexity of the scene, the resolution, and the processing power of your P.C., this can take anywhere from a few minutes to an hour or more. The render based on the above scene. One version of the final cover, post-produced using Gimp. Effects used: hue/saturation, contrast/brightness, softglow, and cartoon. DAZ Studio: I highly recommend you start here because it's user friendly and free. Test the waters before you spend any money. They have only the highest quality models and customer service is second to none, and I mean it. I've had to contact DAZ a couple of times with issues, and they went above and beyond for me. Their non-free models are a bit pricey, but still a great value, and some of the best looking models you will find anywhere. Poser: Similar to DAZ but with a slightly different interface. Not free, but older editions can be had for as low as $30 US. New editions come out regularly, and features have become quite powerful. Poser is compatible with most DAZ models. Look for older (cheaper) versions at Amazon. Renderosity: A huge online storehouse of 3d figures. Prices vary, quality varies, but they have just about everything. They also have a free section. PoserWorld: For fans of Poser, these guys have a ton of stuff. They have various types of paid accounts, all at low prices, and hundreds of models available to download. This is just the tip of the iceberg. If you stick with it, you'll get to know these websites very well and probably find a dozen others. You will find fantastic models for free, as well as a lot of junk. As with all things, the key to success is practice. Eventually, if you stick with it, you will spend money on this. Good news, though. A lot of this stuff can be used as business deductions. Remember, if your writing produces income, it's a business. Cover art, publishing costs, and even books might be deductible. (See your accountant for specifics. I'm not a tax expert and none of this should be considered advice!) And remember, the difference between a lousy render and perfection doesn't just require a good model. It requires, patience, practice, and skill. Take another look at the T1 examples above and you'll see what a difference a few minor tweaks can make. If you found this blog post helpful, take a look at the previous posts in this series. Also take a look at the "Books" tab, where you can find a list of all my published works. Or, click the Amazon banner to go directly to my Amazon page. 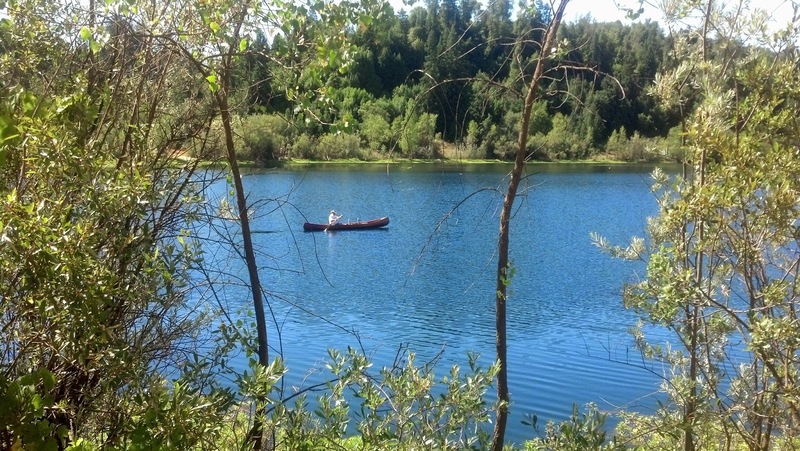 The author's first homemade canoes. The design is "Wren" by Selway-Fisher; the construction method is stitch and glue plywood/fiberglass. 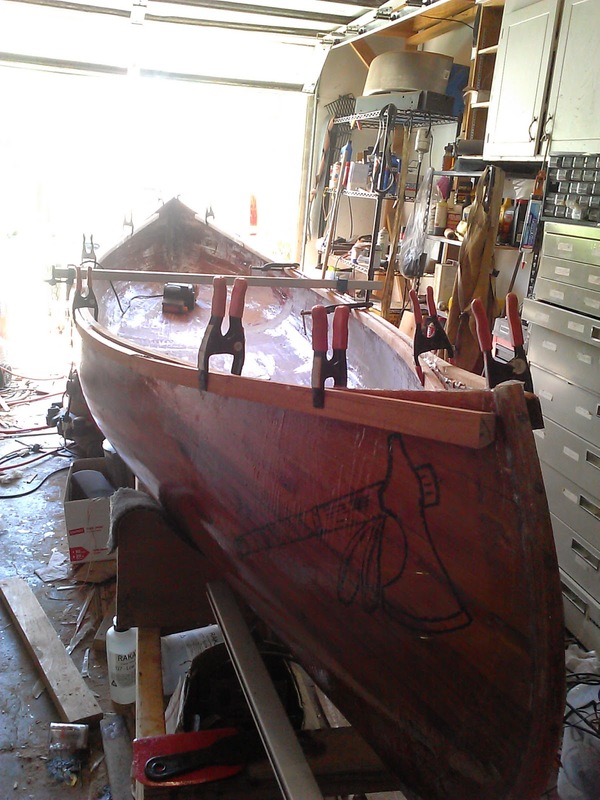 During the process of building these canoes, I had already decided that I ultimately wanted something better. I knew of more sophisticated techniques and designs, but I wanted to get the basics down first. 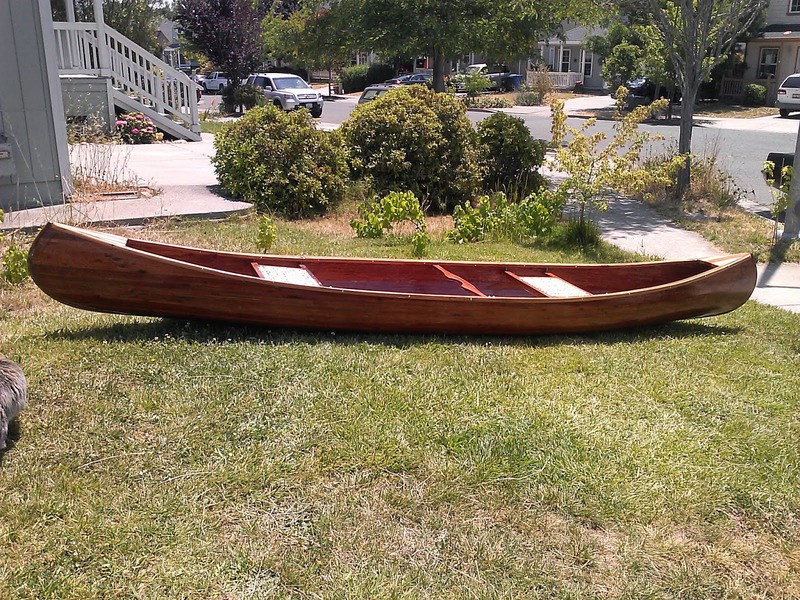 To that end, I finished my plywood canoes and then, during the winter of 2013-2014, I set out to build a strip canoe. For those who don't know, strip-building is moderately similar to classic boat construction techniques. The greatest similarity is the use of lofting and the creation of molds. Lofting is the practice of using charted measurements to lay out the design of a hull on paper (or wood). This pattern is then used to create a mold (actually a number of molds, usually 10-20) upon which the craft will be built. This technique has been used for centuries, but in modern construction, it is possible to use lighter and smaller strips of wood to build the boat. The strips are stapled to the molds and glued to each other by simple wood glue. 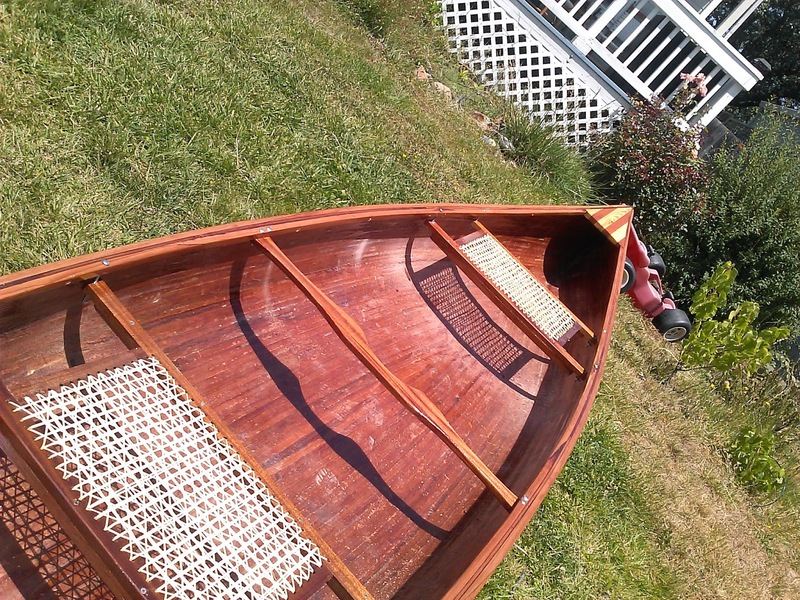 This creates a shell upon which the boat builder can lay fiberglass to create a very sturdy, watertight, and practical vessel. Because it will be sandwiched in fiberglass, the type of glue used during construction is not terribly important. Cheap carpenter's glue works just fine. Canoe molds prepared, and the first strips are in place. The pink is masking tape, placed on the edges of the molds to protect them from glue. As you may have guessed, my 2nd grade daughter chose the tape. She was also a wonderful assistant on this project! I never turn down an extra pair of hands. Cedar is the type of wood most commonly used for this type of construction due to its light weight and high strength ratio. It's also a little more forgiving to work with than some other hardwoods. In my case, redwood was available, so that is what I used. I had several boards left over from a deck I built a few years back, and it made sense to use up what I already had, especially since this was to be my first adventure with this type of construction. Redwood can be brittle and resists bending, so it was definitely a challenge, but ultimately came out looking nice. The hull is now nearly finished. 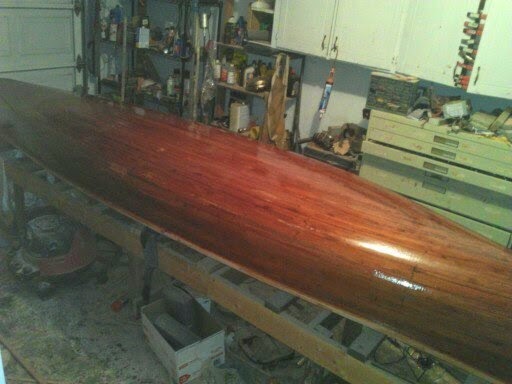 After a good sanding and the removal of about 3,000 staples, it will be ready for fiberglass. The author begins fiberglassing. Please kindly overlook the cluttered mess he created in the process of building this boat. The exterior hull has been glassed. Later, it will be sanded smooth and varnished, but the interior hull most go through the same process first. The dark marks are from staples, a mistake I will correct in future projects. A full-size view of the outer hull, with the outer gunwales installed. Gunwales prepared for installation. Note the woodburning of a tomahawk. I had originally planned something else, but ended up freehanding this graphic based on one of the axes in my collection. The interior and exterior must be sanded smooth (again) after fiberglassing. 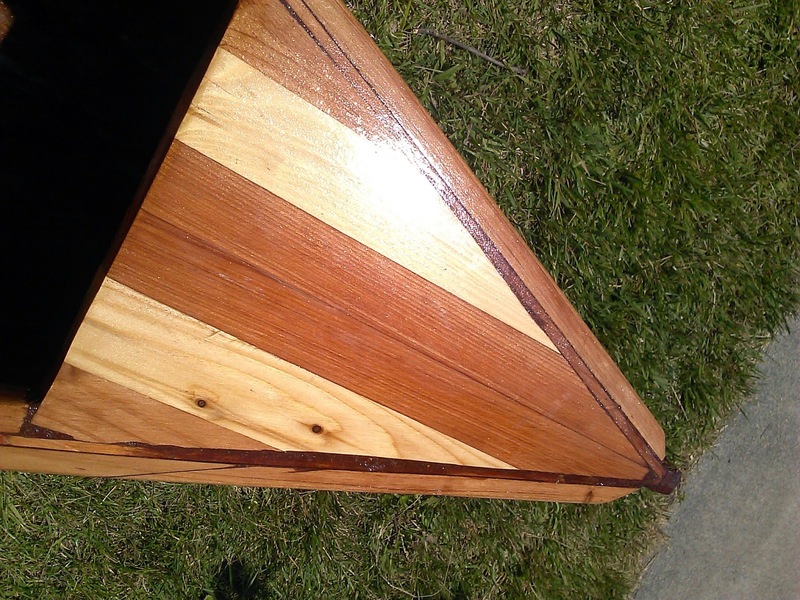 Then they can be varnished and fittings like gunwales, decks, and seats can be installed. 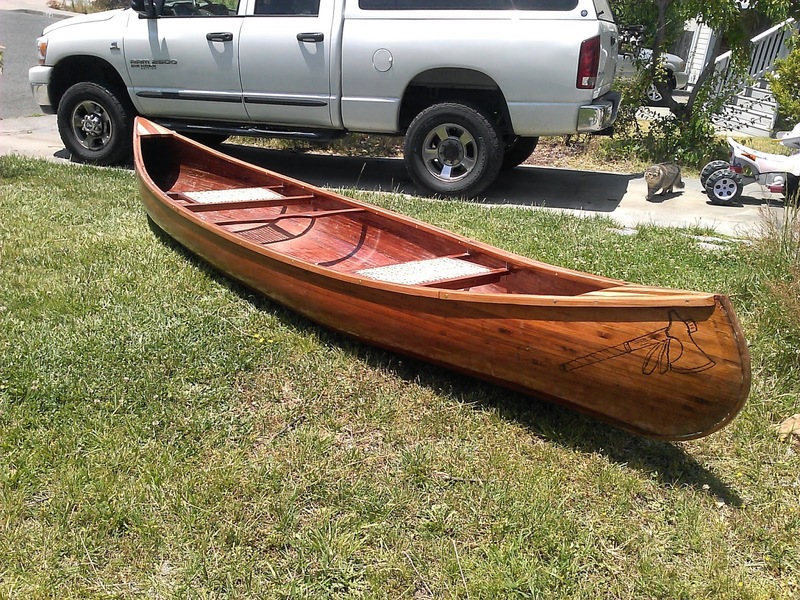 I chose to make traditional cane seats for this canoe, which proved to be another very time consuming and challenging endeavor, but after a couple weekends on the water, I now completely understand why these were the popular choice. They are very comfortable for long stretches of time, and surprisingly sturdy. 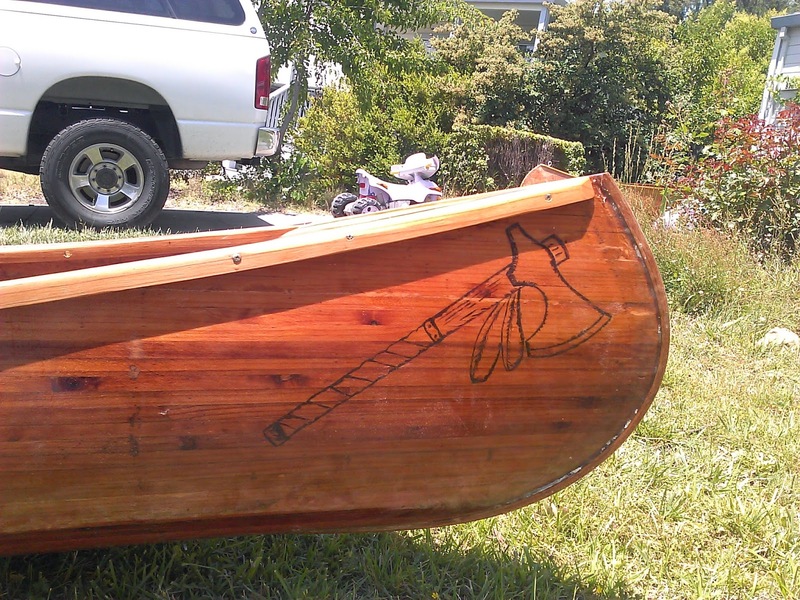 To learn more about strip-built canoes, I highly recommend Building a Strip Canoe by Gil Gilpatrick, and Canoecraft by Ted Moores. The former focuses on the fundamentals of this construction method and comes with several sets of full-size plans. The latter delves into the finer details of creating a true work of art, and the plans included will require basic lofting skills. If you enjoyed this write-up, check out my other hobbies on the "Projects" page. You're also welcome to click the banner to the left and check out some of my books at Amazon or, if you prefer, click the "Books" tab above for more details on my books.They have nothing to do with building canoes, but if you like sci-fi, fantasy, or mystery take a look! As promised, I'm continuing my summer promotions with a price cut this week on "The Clockwork God." Clockwork is a follow-up to the Tinkerer's Daughter series, taking up the story of River, Kale, and the steam powered gorilla Socrates. They head out into the great unknown aboard their massive locomotive, The Great Iron Horse in search of the rare element known as starfall, which powers not only their steam machines and cities, but also Socrates himself. 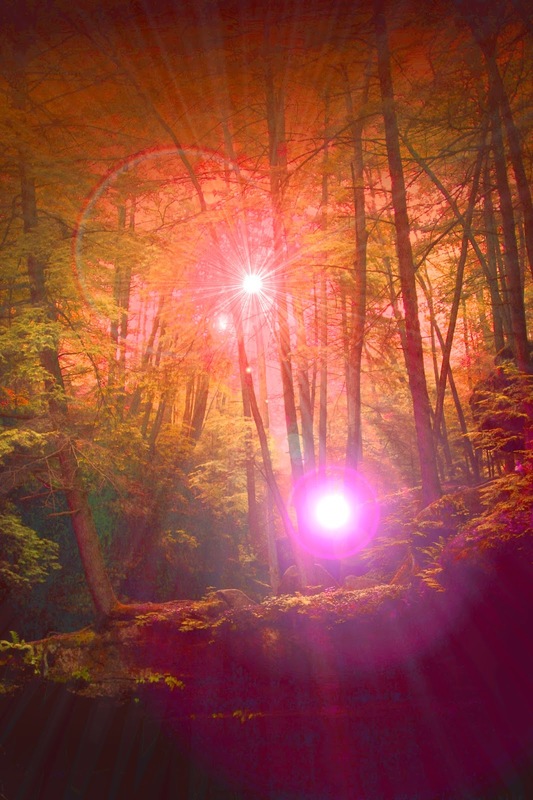 Without a reliable supply of starfall, Socrates will die and all civilization may collapse. Clockwork is featured on Digital Book Today this week, and will be featured on eBookSoda this Wednesday (tomorrow, as of this writing), which happens to a be a fantastic resource for ebook lovers in search of cheap and free fiction! I'm also sponsoring a brief giveaway for paperbacks on Goodreads, linked in the graphic at the top of this page. The normal price for Clockwork is $2.99 US, but this week only it's on sale at $0.99, only available at Amazon. I've mentioned before that I have been working on a new website with a wordpress host. I've been working with wordpress.com, but I have decided they aren't going to work for me. They are simply too restrictive, and offer very few benefits. .Org has very few of the features available in .Com; the former is more of a managed blog than a real website (similar to Blogger). In fact, not only will they NOT allow me to put up a simple banner linking to my books on Amazon, they won't even respond to my contact requests. At this point, even if I found a simple fix for this problem, wordpress.com would be off my list simply for their poor customer service. They had a chance to prove themselves before I dropped some cash, and they failed to do so. Still, I do like the benefits of wordpress, especially the flexibility of the platform, so I'm going to have to go with a standard wordpress.org installation. I'd like to migrate before summer is over, but I won't do it until I can make it happen seamlessly. Since I'm a rookie, it's important to take my time and make sure I get it right.In the meanwhile, Blogger has made a few improvements recently, so I'm making the best of what I have for now. One of those improvements is the much more user-friendly interface for customizing and adding pages. I have used this to add tabs at the top of the front page, featuring links to my Bio, a Books page, and now a Projects page. This means that readers will be able to access my aquaponics experiences, my muscle car restorations, canoe projects, and so on with just one or two clicks. This should make some readers very happy since about 75% of my monthly hits go to my projects posts. Especially popular are the Dodge Charger Project, The Impala Project, and the Aquaponics introduction. If you have any favorites, check that tab for updates. For the last few months, trouble has been brewing in the publishing world. According to Hachette, it began with Amazon slowing delivery of their products and setting the retail price of Hachette's books to full list price. (The price Hachette suggests for their books - Any discount below this is given by Amazon, and therefore comes from Amazon's pockets.) Ironically, it wasn't that long ago that Hachette and the other big publishers were complaining about Amazon reducing their prices. In fact, they joined together to demand that Amazon allow the publishers to set their own retail prices, regardless of the fact that publishers still recieved their full percentage. It seems some people will complain no matter what you do. "A retailer can feature a supplier’s items in its advertising and promotional circulars, “stack it high” in the front of the store, keep small quantities on hand in the back aisle, or not carry the item at all, and bookstores and other retailers do these every day. When we negotiate with suppliers, we are doing so on behalf of customers. Negotiating for acceptable terms is an essential business practice that is critical to keeping service and value high for customers in the medium and long term." That quote pretty well sums it up. Amazon is bargaining, and doing so quietly and respectfully. Like a business. Hachette on the other hand, is making a whole lot of noise. I've heard speculation regarding this; that perhaps it's because this is the first new negotiation between Amazon and a big publisher since the recent ruling (where the publishers were found guilty of price fixing). That sounds likely, although I can't quite understand what it is that Hachette wants out of all this. The court of public opinion will not change Amazon's goals of delivering products at the most competitive price possible. The publisher's motivation is made even more obscure by their own backpedaling regarding their apparent desired outcome. If I were to spend a few minutes in a critical thinking exercise, I might reach the conclusion that Hachette is not being as forthcoming or truthful about their desires as they appear. But again, this may be a negotiating tactic, and as any fan of "Wall Street" knows, business is war. As an Indie, I can speculate as well as the next guy (or gal) without worrying too much about my slice of the pie. Honestly, it seems to me that if the big publishers keep fighting for the right to set their own prices and win, it will only benefit me in the long run. I can set my prices as low as I want. They Can't. Regular followers of this blog already know that I ran an Amazon promotion for the week of April 19th-25th. I was skeptical about doing a free giveaway for two reasons: 1) Giving away products for free is not necessarily the best way to sell said products, and 2) My past experiments with freebies were mediocre, resulting in either many free giveaways but few sales, or few total giveaways. In both cases, I rarely netted more than a few reviews, if any, and that was after giving away thousands of free e-books. BUT... I had to rethink my strategy recently. I must admit, my sales had been slipping for a while, going back to the second half of 2013. Granted, this was mostly my own fault because I hate doing promotion. I don't like the time it takes, I don't like shelling out money for unquantifiable results, and I prefer to put my energy into actual writing and publishing. Which is what I had been doing since I started this venture in 2011. During that time frame, my approach seemed to work pretty well. I started selling one or two books a day and, at peak, have averaged about seventy-five per day. From January 2012 through the summer of 2013, about eighteen months, I sold somewhere around ten thousand books. Maybe those aren't Patterson numbers, but for a new, unknown author with no traditional publisher, no agent, and no promotion, I think it's pretty good. And for all those years, my sales consistently grew. But at the end of last year, something weird happened. They say it was the tsunami of new self-published books drowning out visibility that made 2013 so rough for sales. I'm sure that was part of it, along with the fact that thousands of new authors were engaging their readers with promotions in a way that I never had. At any rate, during the summer slowdown of 2013 my sales had dropped to an average 15-20 a day. I wasn't too worried at the time, because I expected the usual uptick in the fall. But that uptick did not come as scheduled. I kept telling myself that when my new books came out, sales would get a boost. I released Clockwork and H3, but they didn't do much. Then, in February or March of 2014, sales dropped again. Suddenly I was down to a trickle, averaging maybe five a day. Still, I told myself it would pick up. Or, at least I tried to, until the royalties caught up with me. When I saw my income dropping to a couple hundred bucks a month, I figured I'd better do something. I staggered my promotions by scheduling them on different days. I did this in two different ways. First, I started the Amazon promotion on Sunday and the Goodreads promo on Monday, allowing each to benefit from its respective place in the "recently listed" and "ending soon" departments. (I also staggered the ending dates) Second, I scheduled my promo advertisements to run on Tuesday, Thursday, and Friday, and then blogged about my giveaways on Wednesday. I used "Pulse Advertising" (to coin a phrase) in order to draw steady, consistent attention for the entire week. And did it work? I'd say yes. In that week, I gave away over 4,000 freebies. As soon as the giveaway ended, my sales settled into a daily range of about 25, for about a week. Not too bad. BUT... I did one more thing. I scheduled a second Goodreads giveaway for the following week (after one week off), on T2. I timed this to coincide with an Amazon pricing promotion at $0.99, down from $3.99, using a Kindle countdown deal. And when that promo went live, sales jumped up into the 40's and 50's per day, doing even better at sales than giving away freebies. So my extended Pulse Advertising lasted for a period of three weeks, ending early in May. The result? Several weeks later, I'm still moving around in the charts in my category and averaging around 20 sales a day in this series. That's up from 5, remember? First: Free definitely does still work. You can catch the attention of the algorithms -and the readers- by hitting those top 100 charts. But if you time your promotions for a longer, more methodical duration, you can earn a long tail in the payoff as well. Of course, you must promote those freebies or no one will notice. I can attest to this fact based on some of my previous experiences, like running a freebie on "The Last Heist" and getting about 25 downloads because I didn't promote. This time, I spent about $70 on promotional ads. I made that money back in multiples from the increased sales, so it was well worth the expense. Second: There is a major difference in sales weighting between FREE and $0.99. The books I gave away for free got me into the top 10 in the Steampunk category, but it cost me about 4,400 free books. T2 reached the same ranking by selling about 30 books a day at $0.99. I had to move less product, and this time I was getting paid. Conclusion? If all else is equal, it's better to be selling your book than giving it away for free so $0.99 still has more appeal. Third: The long tail of promotion does lead to a long tail of sales. I assume this is because my theory about Amazon's algorithms is correct. It also helps that Amazon is back to sending out occasional flyers for my books, reminding people about titles they've viewed but not yet purchased. Every little bit of visibility I can achieve brings more sales, and this is something Amazon does automatically once you catch the attention of the algorithms. Fourth: Price is important. When T2 went back to the usual price of $3.99, sales dropped like a rock. It's still selling, but nowhere near 30 books a day. I believe that if I'd set the price on book two lower permanently, I'd have more sales and a better presence in the charts. Unfortunately, after a running a Kindle promotion, I'm not allowed to change the price for at least two weeks. I had inertia with that title, and I lost it because I screwed up. Fifth: Free isn't that popular anymore as a promotion tool because of the changes to Amazon's algorithms. I believe that this fact actually helped me a little. I can't prove it or show numbers to back up that theory (Let's be honest: I'm too lazy to try) but I think the recent migration to $0.99 has made the Free ground a little more fertile. Everyone knows a low price carries more weight than a giveaway, and they're exploiting that... which means the free charts are lot more accessible than they were say a a year ago. What would I change? I have enough titles in my backlist to keep promotions like this running steadily, and I should have planned out something even longer. Next time, I will. I also need to put this effort into my other series books. It might be time consuming because of the planning involved, but I'm sure it will be worth it. I would also price Book Two in the series a bit lower after the promo, using a more gradual pricing tier. Jumping from $0.99 to $3.99 is a bit much for some readers. BOOKBUB wouldn't touch me. I don't know if it had something to do with my covers or my reviews, or something else entirely. I know that they used to be a fairly exclusive club, allowing only the books with the highest number of reviews and highest average review. This of course, is bullcrap. What it does is encourages amateur writers to write fake sock-puppet reviews, talking up their own books and trashing those they think are competition. Anyone who thinks this doesn't happen should take a look at some of the one and two star reviews on my books (or many others) at Goodreads. This is how we end up with horrific books rated at a solid 4.8 stars with 150 reviews, and fantastic books by honest authors that flounder with a 3 star average. Bookbub claims they no longer work this way, but they remain elusive as to how exactly they choose their promotions. New Promo This Week: Tinker's War! After the success of my last promotion, I've decided to try and build on that momentum with a promo on T2. As you can see from the link above, I'm doing a one-week Goodreads giveaway for three paperbacks. The e-book is also on sale this week for only $0.99 U.S. over at Amazon: link here If you don't have it yet, or have a friend who might be interested, click on over, and feel free to share the link! Right now, T1 and T2 are both sitting in the top 10 in Amazon's steampunk category(! ), and are both doing quite well in several other categories. After having fallen off the charts recently, it's great to see this happening. I plan to go into more detail on my promotional efforts soon, but for the moment, I'm trying hard to stay focused on a couple of new books that I've almost finished. Until I have more time, I'll leave you with a huge "Thank You!" to everyone who has downloaded and shared my books over the last few weeks. And of course, for those who've taken the time to review my books at Amazon, GR, and other various sites. 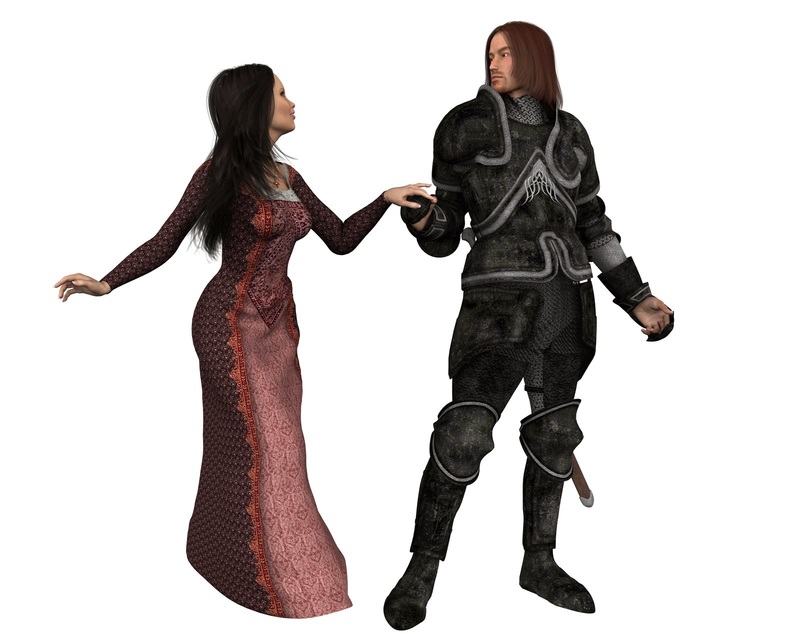 Next, I shrank the resolution of my dancing fantasy couple to an appropriate size. I didn't want them to be a major part of the image, just a subtle cue hinting at the romantic element of the story. I used the softglow filter (filters/artistic/softglow) to create the lighting effect around the couple, and then simply pasted the image on top of the first and dialed up the contrast. 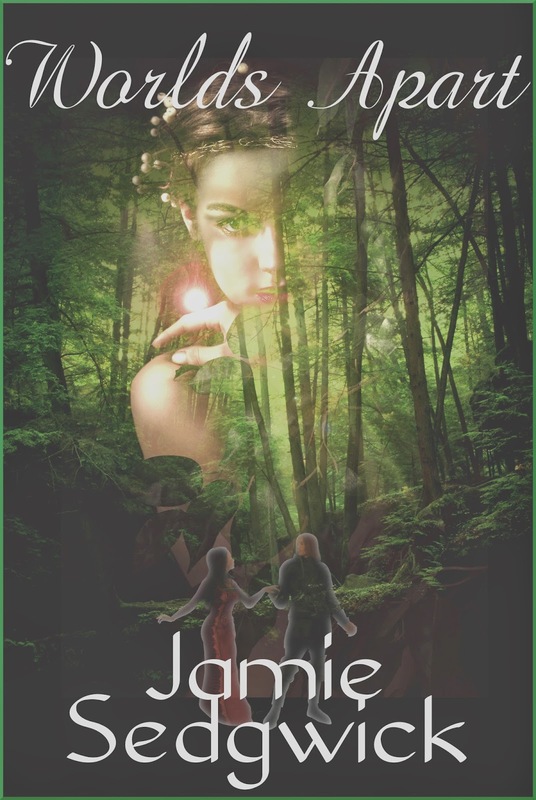 The third image I used is this graphic of a fairy. After resizing appropriately, I used the colors/color to alpha feature to convert the black to transparency. This removes all of the black (or whatever color you choose.) This can make the image look a little strange if you're not careful. In this case, I was going for a ghostly look anyway, so that's exactly what I wanted. After converting to transparency, it is possible to adjust the color/contrast and opacity of the image after you lay it on the first, but only before you anchor or flatten the image. If you accidentally anchor it, you can either go into the image history in your toolbar and go back a step, or go to Edit in the menu, and select Undo. I also added a border (filters/decor/add border), because images that are largely black or white tend to vanish when viewed online. 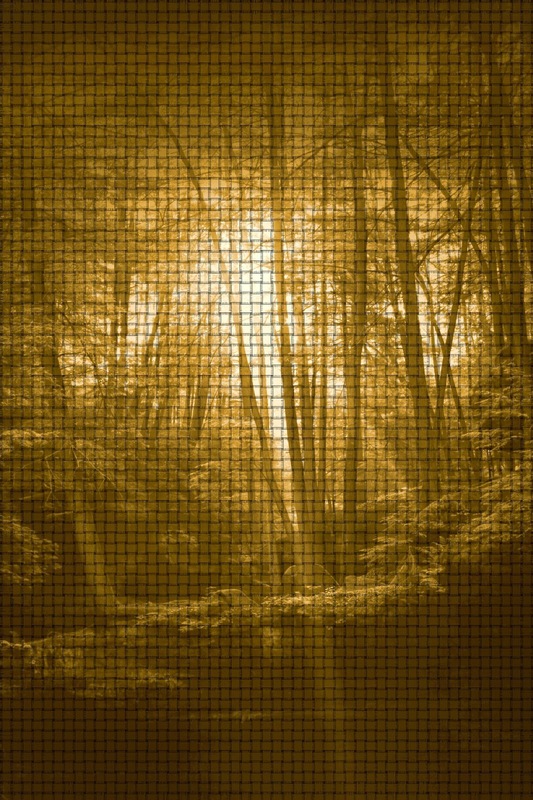 The border helps define the size and shape, so viewers immediately understand what they're looking at. Ultimately, I think it came out pretty well. I could have spent more time working on the various features, perhaps finding more lively fonts and adjusting the size and opacity of the various images, but there's a point of diminishing returns when it comes to covers. Even though I made this cover on the cheap, there is still an investment of time and energy that I have to take into consideration. With a few hours of labor on top of the $15 I paid for the images, I knew I could recoup my expenses. If I had chosen to spend $100 on a cover for a short story, it might take years to show a profit. Same goes with time. A few hours to build one cover is a small investment. A week? Two weeks? Not so much. Then you're spending time that you could be using to write more stories, and the cover art is only one small part of the recipe if you want to make money in writing. Now, for the sake of argument, let's say this wasn't an ethereal fantasy. Maybe we want horror, suspense, or sci-fi. Or maybe adventure? What could we do with this same base image? It's not hard to see how a few clicks can completely change the mood. The nice thing about Gimp and similar software is that you can produce impressive results at relatively low expense, and in a very small amount of time. Of course, the more you practice, the quicker you'll reach results you like. There is always an investment of time when learning a new program, but a couple weekends worth of experimentation can pay off for years to come. Eventually, you'll want to do something but can't figure out how. Or, you'll do something you didn't mean to and won't know how to fix it. That's where Google and Youtube come in. The internet is full of tutorials for using Gimp and Photoshop. Use that resource! In very little, time you'll find that you'll be capable of producing results that absolutely blow away anything that was on a cover just a few years ago. As a side note, thanks to everyone who took part in my giveaway last week. As I posted in last week's update, T1 was downloaded thousands of times. In the week since, sales have jumped dramatically. I'll be watching my numbers closely to see if this bump is temporary or the real thing. I'm also planning more promotions, so keep an eye on this page!